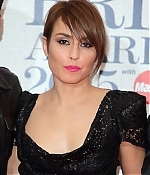 Noomi has made quite some appearances this past weekend in anticipation of Sunday’s British Academy Awards (see following update). Lots of pictures have been added to the photo gallery. Scroll down for a complete list. Frederik January 24, 2015 Comment? 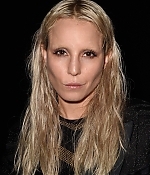 Yesterday, Noomi has made an appearance at the Paris Fashion Week’s Givenchy Menswear show. Pictures have been added to the photo gallery. 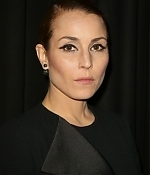 Edit: On January 24, Noomi has attended the Dior Menswear show, posing with her “Dead Man Down” co-star Isabelle Huppert. Pictures have been added as well. Frederik October 10, 2014 Comment? 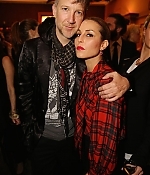 The 2014’s London Film Festival has kicked off and Noomi has attended the “The Imitation Game” premiere. “The Drop” will be shown at the festival as well, so there might be more pictures quite soon. For now, check out the new pictures in the photo gallery. Frederik September 25, 2014 Comment? What a busy week. 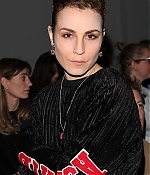 After Spain’s San Sebastian Film Festival and Brussel’s premiere for “The Drop”, Noomi is now in Paris and has attended today’s Balmain show at the Fashion Week. Pictures have been added to the photo gallery. 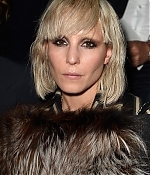 Edit: Pictures from the Lanvin runaway have been added as well.